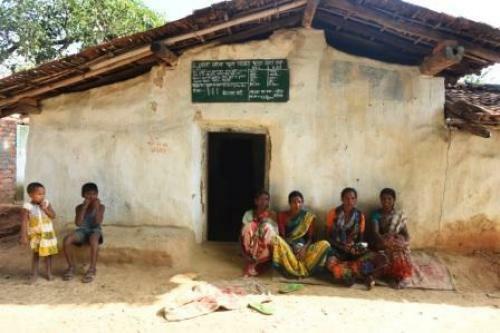 Deaths due to denial of ration continue unabated in Jharkhand. After a widow’s death in Garhwa district last month, another widow, Etwariya Devi (67), died of hunger and exhaustion on December 25. The incident occurred at Sonpurwa village in Majhiaon block of Garhwa. The woman used to live with her son Ghura Vishwakarma, daughter-in-law Usha Devi and their three children. Shortage of food worsened the victim’s condition after the family was denied ration from October to December 2017. The family was denied their monthly entitlement of 25 kg of rice under the National Food Security Act. In October, Usha Devi’s fingerprint failed to get authenticated in the Aadhaar-based biometric Point of Sale (POS) machine at the local ration shop. Much to the family’s dismay, she was asked to come again. Village residents alleged that the dealer often does not distribute ration as per the transactions made in the POS machine. This is not the first time such allegations have surfaced in Jharkhand. When Down To Earth made field visits in Kisko block in Lohardaga district last year, residents complained about regular cuts in ration or denial of grains due to authentication errors. Balram Oraon and his wife Rajmani of Anandpur village under the Bethat gram panchayat in Kisko said dealers always gave them one kilogram (kg) less foodgrains than what they were entitled to. Similar is the story elsewhere. In Patratu village’s Jamun Toli under Bagaru panchayat, several residents complained about ration cuts even after the mandated Aadhaar linkage. Due to poor connectivity in the rural hinterlands, the POS machine often does not work, giving rise to a lot of inconvenience. This has given rise to corruption as rice and wheat of those beneficiaries unable to use the machine are being siphoned off. “The machine has been around for a year now. Often it does not register thumb impressions and then ration is denied to the beneficiary,” Ramesh Oraon, a social mobiliser in charge of Kisko block, says. Initially, fingers of elderly people were being denied by the machine in our village when it was first introduced, according to Sushari Minz, a mahila mandal member in Bethat’s Jatra Toli village. “Sometimes, when there is no link, problem arises. At times there is no network throughout the day. If there is no link, people have to visit again as there is no offline system here,” Minz says. She is one of the members of the mahila mandal group in the village run by about 10 women. Not getting ration due to no network is a major problem. This is a major problem for elderly people and those who live alone. Instead of easing the woes of beneficiaries entitled to food grain subsidy, the Aadhaar-based biometric authentication (ABBA) system has given rise to multiple problems for the poor in Jharkhand. The state government’s ambitious plan to link Aadhaar numbers with beneficiaries’ ration cards seems to be derailing. As Ranchi-based development economist Jean Dreze explains, the situation has not improved even after the linkage. “Rather, the Aadhaar-PDS linkage has led to the exclusion of people from the system who are the most vulnerable, and who live alone,” Dreze says. According to Dreze, the main problem in PDS is not identity fraud as is the case with MGNREGA. The issue is that dealers are cheating beneficiaries of the rightful amount of food grains they are entitled to. Thus, a lot of corruption has crept into the system. Dheeraj Kumar, who works with the Right to Food Campaign in Jharkhand, says, “Dealers are still cheating beneficiaries across the state. ABBA cannot check ration cuts by dealers. Dealers are still cutting rations either clandestinely through the traditional weighing system or by open announcement.” Last year, Jharkhand food and civil supplies minister Saryu Rai had announced that families who failed to get ration due to the failure of ABBA should be given grains by manual methods.